Are You Prepared for the Biggest Social Media Trends in 2019? Any social media user will probably know by now that unless you put some content online, either business-wise or for personal reasons – you simply don’t exist. Went on a beautiful holiday? It can’t be true unless you Instagram it. Did you get engaged? It’s not official unless you change your status on Facebook. Exploring a new diet? It’s not relevant unless you pin some recipes to your Pinterest profile. Got an opinion? No one will hear it unless you voice it over Twitter! As a brand, you have to come to terms with the fact that your first and last place of contact with your consumers happens online. Each year, social media becomes more and more complex, and 2019 will prove far more dense in content. This is why you need to stay relevant, and to do so, here is a short overview of the upcoming trends. Both brands and personal profiles tend to panic that they won’t be able to compete with competition in the online world, because there is always something new going on. A better campaign, a more important influencer promotion, a more practical and innovative app… Still, take comfort in the fact that with the ever-growing presence of social media users, everyone can find something for themselves, and it all comes down to a unique voice of the brand, as it always has been. It’s just the mode of communication that has changed. Take a look at the following list of upcoming trends to make yourself more comfortable navigating the online world. 1. Video Victory – Keep an eye on Instagram Stories! As video is one of the fastest and most attention-grabbing modes of communication, be sure to witness the continuing growth of video content. Even though, in its beginnings, everyone was sceptical of Instagram starting their Stories feature, it is now one of the most important sources of information – as many as 400 million (Source: CNBC) Instagramers use this feature on a daily basis! This number of users on Instagram has doubled Snapchat, who was the first successful app on the market to offer this feature, and Facebook Stories is far behind both. With its filters, apps, and more importantly – fun stickers, Stories have become the primary tool for communication. If you want to stay relevant, make sure to be in touch with the new Instagram updates each time they appear and explore creative ways to show off your product, event or ‘day in the life’ experiences of your business. 2. Influencer Marketing – It’s all about trust, baby! Influencer Marketing happens when a brand pays a highly relevant person to promote their products online. This phenomenon is interesting because it has made it possible for regular people to expand their interests on social media and become Influencers, as well as allowing brands organic word-to-mouth advertising, if done wisely. Although social media users can easily tell when a post is sponsored, they still look for real human interaction, and are likely to fall in love with the product if promoted by someone in a position of authority or power. Whether it’s about personal identification with the influencer’s work or an aspiration, a word from someone we trust will always go further than any conventional paid advertisement. The key is to keep it as natural as it can be, even when the Influencer decides to place a ‘Paid partnership’ note or an #ad hashtag. Everything is possible online – check out Bondi Sands’ collaboration with no other than Kylie Jenner (Source: Professional Beauty). 3. Disappearing Content – Are You Drawn to Exclusivity? Snapchat’s trademark – disappearing content – will still be relevant in the upcoming year, simply because it pays off the human need to be a part of something exclusive, reserved for only the most loyal followers. Instagram Stories use the same little trick to keep itselves relevant. You can use this method to promote a one-time event, a sale, a promotion, or a teaser for an upcoming campaign. 4. Transparency – The Customer Is Always Right! One of the most appealing benefits of social media, as well as its biggest flaw, is the fact that everyone and anyone can broadcast their opinion on anything. This is good because it makes it difficult for brands to hide any flaws of their products. The opinions of consumers can go a long way, moving mountains as they have never before. This is why it is important to be very careful how you communicate on social media, not only with the information of you share but also with your tone of voice and how you talk to your consumers. Brands who choose to ignore or disable any communication can find this brand-damaging, as users like to know they can reach the brand, that it listens to them and that their voice matters. Communication is one of the most important elements of social media, which is why chatbots are becoming more and more relevant to any business. From ones that say ‘Hi’ when you’re simple browsing, through to the ones that can answer specific and detailed questions from visitors, chatbots are beginning to show impressive skills for all types of businesses. They can be added on to already existing platforms, or created as stand-alone applications on your website – either way, have a think about getting one created for your online points of contact. 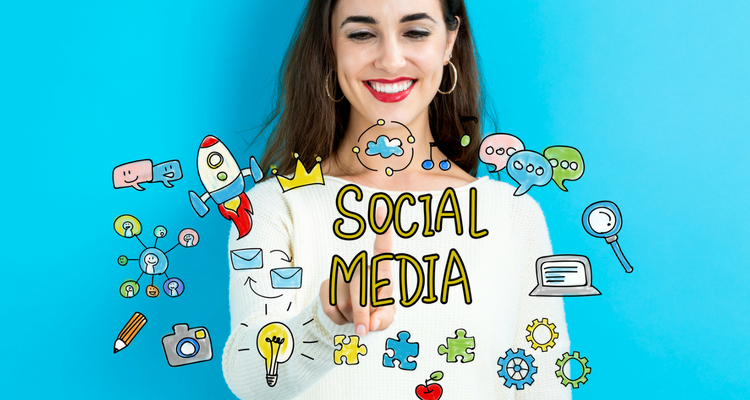 I hope that this list will help you find your way in the social media maze! Claire is an entrepreneur and digital marketing expert, based in Sydney, Australia. After studying marketing, working in digital media and having experience in the field of social media, Claire decided to build Crunchy Social - a social media management business for both local and international brands.